The PGA Fiji International 2017 tournament will be held from the 17-20th of August this year. Since its inaugural staging in 2014, this prestigious event has attracted some of the world’s best golfers such as Nick Price, Vijay Singh and Matt Kuchar and developed a reputation amongst the Australasia and European golfing scene as a must-attend event. The Fiji International will expand its worldwide reach in 2017 following a landmark agreement to include the Asian Tour as a new tri-sanctioning partner alongside the ISPS HANDA PGA Tours of Australasia and European Tour. A total of 30 members from the Asian Tour, which is the official sanctioning body for professional golf in the region, will feature in ths year’s tournament at the picturesque Natadola Bay Championship Golf Course. Preparations are underway to add to the caliber of the golf course, and the Natadola Bay Championship Golf Course has been closed for upgrades since October 2016. The Course will re-open in time for the 2017 event and the Fiji International will be the first tournament played on the new and improved golf greens when it re-opens. Overseeing the enhanced and development of the course is Fiji’s own and three time Major Champion, Vijay Singh. As part of its new and improved look, the Natadola Bay Championship Golf Course will offer better greens, fairways and bunkers to significantly improve the golf experience for both amateur and professional golfers. The world-class golf course facilities here at the InterContinental Fiji Golf Resort and Spa includes an 18 hole par 72 championship golf course, golf shop, golf driving range, practice chipping, putting greens and the Vatu Lo Bar & Restaurant. “Since 2014 the Fiji International has been a marquee tournament on our schedule and it is a testament to the tournament that it continues to grow and attract the attention of the world,” said Stephen Ayles, Chief Commercial Officer of the PGA of Australia which oversees the ISPS HANDA PGA Tour of Australasia. 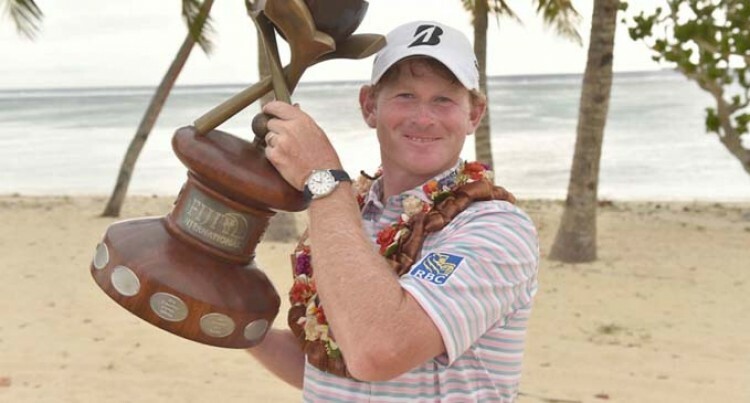 “The addition of the Asian Tour to the Fiji International will ensure a strong playing field competes in the tournament which has been won by Steven Jeffress, World Number 20 Matt Kuchar and World Number 27 Brandt Snedeker in its first three editions. The Asian Tour will be sanctioning an event in the Pacific for the first time in its history, which CEO Josh Burack believes is an important milestone for Asian golf. Recently, the Asian Tour also announced its tri-sanction involvement at the ISPS HANDA World Super 6 Perth event alongside the ISPS HANDA PGA Tour of Australasia and European Tour. The tournament will be a tremendous opportunity for our highly talented players to showcase their abilities in a new destination to display the growing strength of Asian golf,” said Burack. The inaugural Fiji International in 2014 signalled Fiji’s arrival onto the professional golfing scene, with the Fijian Government, Fiji Tourism and Fiji’s number one player, Vijay Singh, all making a push to put their country on the lucrative world golfing map. Since then the tournament has established a reputation amongst the world’s best golfers as a must-attend event for themselves and their families. Now that the Fiji International has expanded as a tri-sanctioned event, it has cemented its position as one of the top events in the South Pacific region. The tournament also boasts some of the most unique hospitality options in world golf with the par-three fourth hole providing the perfect vantage point to watch the golf, whilst socialising on the beach. Keith Waters, The European Tour’s Chief Operating Officer, said: “We are delighted that the Fiji International returns to the European Tour’s international schedule for the second consecutive year in 2017, and the tournament will once again provide vital playing opportunities for our members.